Relax on your private terrace of this 5th Floor apartment, enjoying the gorgeous views of Signal Hill and Table Mountain. Take an early morning stroll around the corner to enjoy a great Italian Cappuccino at one of Cape Town’s top delis or take a slow meander to the beach. 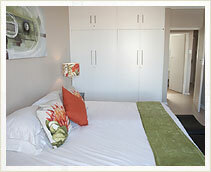 This sunny & spacious 1 bedroom, self-catering apartment is situated in the heart of Green Point, arguably one of Cape Town’s trendiest spots. 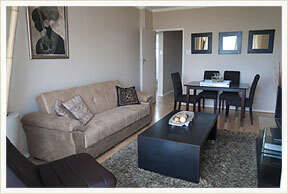 The apartment is within easy walking distance to the Waterfront, Green Point Stadium, the City Centre and many great restaurants, bistros and bars. 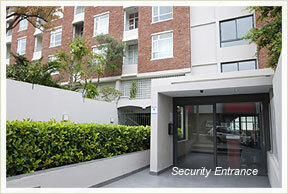 For those concerned with security, the apartment offers peace of mind by being in a secure building with full time security and access control and undercover, off-street secure parking. this apartment is ideal for you. The apartment is really well situated and convenient, especially with Woolworths Food and Vida coffee shop around the corner and quick access to the beach, city centre and the Waterfront. "Lovely apartment and great location"
We stayed at 503 Cascades 4 nights, and what we enjoyed most was the great location. 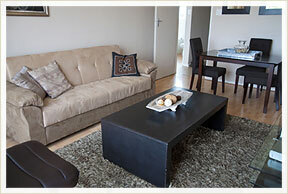 It is within walking distance to nice restaurants/bars in the De Waterkant area and famous Waterfront. The apartment itself is nice furnished, comfortable big double bed, cosy living room, kitchen, bathroom and a small balcony to catch some sun in the morning. There is a 24 hours security at the apartment and we felt very save all the time. Stayed for 3 nights. Will definitely stay there again as the location is great. Walked to the Waterfront, and the various restaurants on the stretch. Good security. Clean apartment & friendly welcome from our host Michelle. Awesome views. Highly recommended. Green Point has been called the Soho of Cape Town – with its funky restaurants and busy nightclubs, the place has an energy all of its own. Wedged between Table Bay, Signal Hill, Sea Point, the V&A Waterfront and the city centre, it sits in the middle of all the local action. 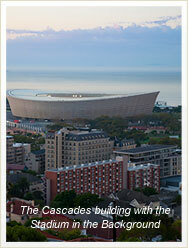 Take a walk to the top of Lion’s Head and enjoy the panoramic views of the city. Alternatively, drive to the top of Signal Hill to see some spectacular sunsets. 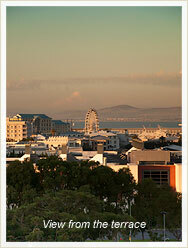 The Green Point strip has everything a traveller needs these days, with everything on your doorstep. For those not wanting to hire a car, the apartment is in the heart of this electric ambience, within quick and easy walking distance to the Waterfront, restaurants and shops. A short taxi ride will get your to our top beaches and don’t forget to arrange a winelands tour! The above rates apply to 2 persons and are subject to change by the owners from time to time depending on the length of your stay. 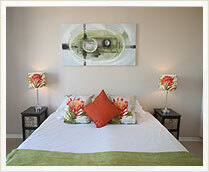 For more information on long term rentals, simply contact us. 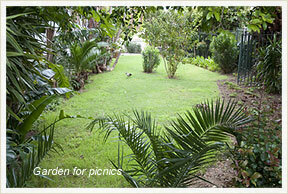 100% payment is required to secure and guarantee your booking. Only EFT’s (BAC’s) can be accepted. For advance bookings, a 50% deposit is required to secure your booking. A refundable deposit of R500 is required for the Keys/Remotes/Damages. In the event of an early departure, the full booking will be charged for. 30 days notice is required in order to cancel your booking. In this event, you will be refunded 50%. those same dates, at the same value, we refund you in full, less admin fees. Cleaning Service can be provided on request. Convention centre on your left and Table Mountain directly in front of you, enter Buitengracht Street. Skip the first traffic lights. At the 2nd lights, turn right into Somerset Road (main road Green Point). been confirmed. Check-in can be from 2pm to 6pm. Check-out is 11am.